Note: The VM already has the time synchronised. 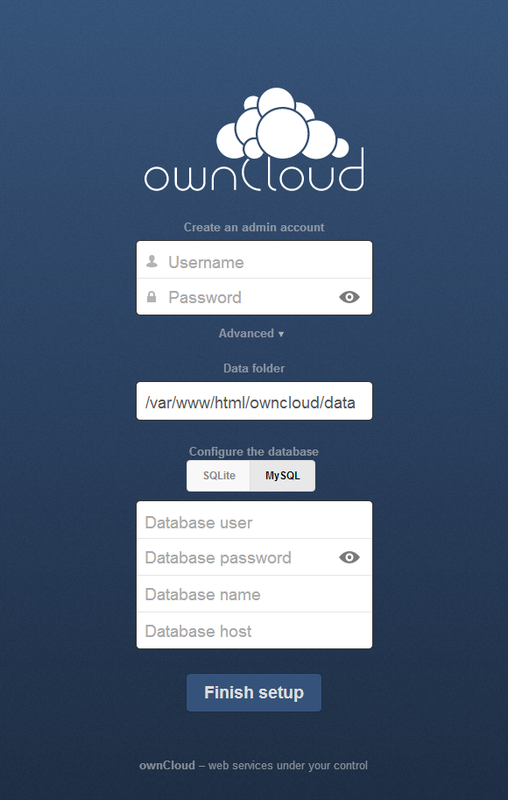 Install Nginx from the Nginx repository and OwnCloud from the OwnCloud repository. Add the Nginx user to the apache group. The distribution RPM and the php-fpm pache all assume apache (httpd) is used. Change the mysql configuration '/etc/my.cnf' to only listen on the loopback interface. Change the ownership of '/mnt/data' to apache so that the php process can access the data. Having a data volume out of the web hierarchy reduces the chance of data loss and allows an arbitrarly sized volume to be put into the VM.